Help thank your clients and build relationships with a 2019 Handshake Award sponsorship. 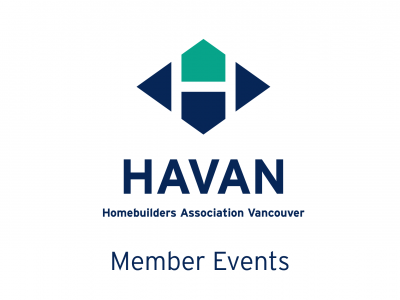 The Handshake Awards will be awarded at the October 3 dinner meeting to the builder, renovator and supplier member who did business with the most HAVAN members within the past year. The Handshake Award entry form will be online for all members to enter all the HAVAN members they’ve used with a quick survey. They can complete it at their office or at a number of HAVAN events like the Breakfast Networking Events or Summer Social. The Suppliers’ Council will be presenting two $300 restaurant gift certificates, one each to a builder, a renovator and a supplier; two $150 restaurant gift certificates, one each to a builder, a renovator and a supplier; and one last prize of a $200 restaurant gift to anyone who completes the survey and has not won first or second place in any member category. This final prize will be a weighted random draw based upon the number of members used by the entrant. We have space for 13 sponsors and we need you! For a $150 investment, you’ll get your logo on the online form and all Handshake Award PR materials including postcards and powerpoint presentations at HAVAN events. At the October dinner meeting, all sponsors will be recognized again and we’ll publish a list of all members who were named by entrants. Deadline is Monday, April 22 to reserve your spot.